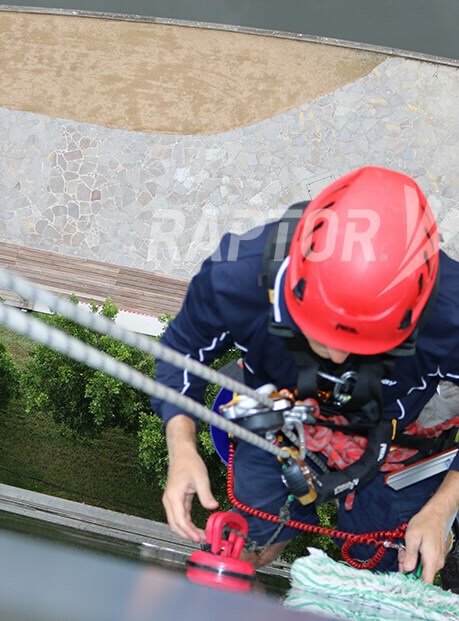 Rope access is necessary for operations which involve difficult-to-reach areas and require significant mobility. By eliminating scaffolding and cradles, workers can have the freedom required to complete their job. Practical access is necessary to reach these areas, and Sayfa provide solutions in the form of Raptor rigid rail systems and rope access anchors. Using these systems, rope access technicians can descend, ascend and traverse ropes to obtain entry as required, while being safely suspended to a secure harness. Fall arrest devices can also be used as part of rope access systems, minimising the severity of injuries if a fall is to occur. Sayfa also have the expertise to provide competency training materials and education, ensuring all team members understand how to use rope access systems safely. For a team who truly cares, there’s no looking past Sayfa.